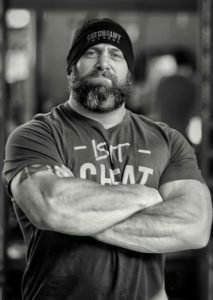 Andy has been involved in physical fitness and personal training, motivational speaking and educating others interesting in health in fitness for over twenty years. He believes in motivating his clients to be the best they can be in both body and mind. He encourages his clients to break through their comfort zones in order to reach new goals and better health. Andy is also passionate about giving back. He believes that each of us has the power to touch the lives of others in some way. He encourages his clients to become part of his benefit fitness events.